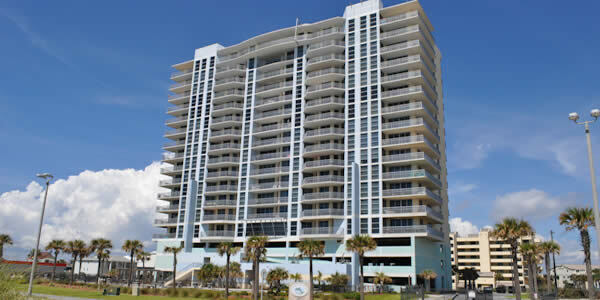 This Pensacola Beach condominium, built in 2006 has 65 units with two-, three- and four-bedroom floor plans. Gated access allows for privacy and security in this luxury gulf view complex. Emerald Dolphin residents and vacationers can enjoy the waterfall pool, fitness spa, meeting room and quick access to the beach. This condo also offers covered parking, storage space for recreation vehicles and boats and full-time on-site management. 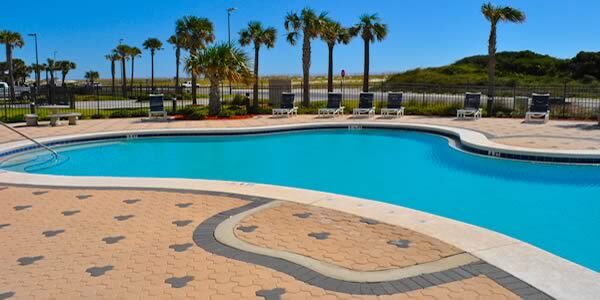 Balconies here afford magnificent views of the beach, Santa Rosa Sound and Lafitte Cove. The building overlooks Peg Leg Pete's and the Lafitte Cove Marina. The marina is on a deep water canal with access to the Intracoastal Waterway and has 41 boat slips with electricity and water. Emerald Dolphin has both the trolley stop and the bike path right outside their gate. The trolley runs seasonally from mid-May until after the Labor Day Holiday. The bike path runs from Fort Pickens through Pensacola Beach and east to the National Seashore. If resort living with plenty of amenities is what you are seeking, then Emerald Dolphin is the one for you. Buyer demand for these condos is constant, and there is a limited supply for sale at any given point in time. Use the Emerald Dolphin Market Report to evaluate current listings, pending sales and recent purchases at Emerald Dolphin. Owners can use this report to assist them in establishing the current market value of their condos. Sign up for notification of newly listed units as they become available. Feel free to call so an agent can assist you.